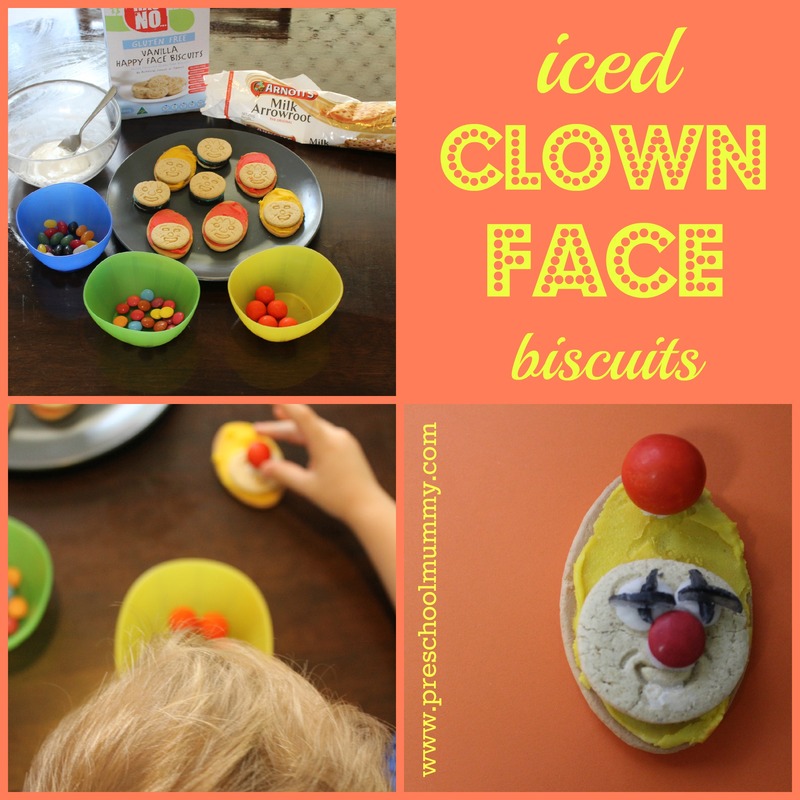 Circus activities for little kids! 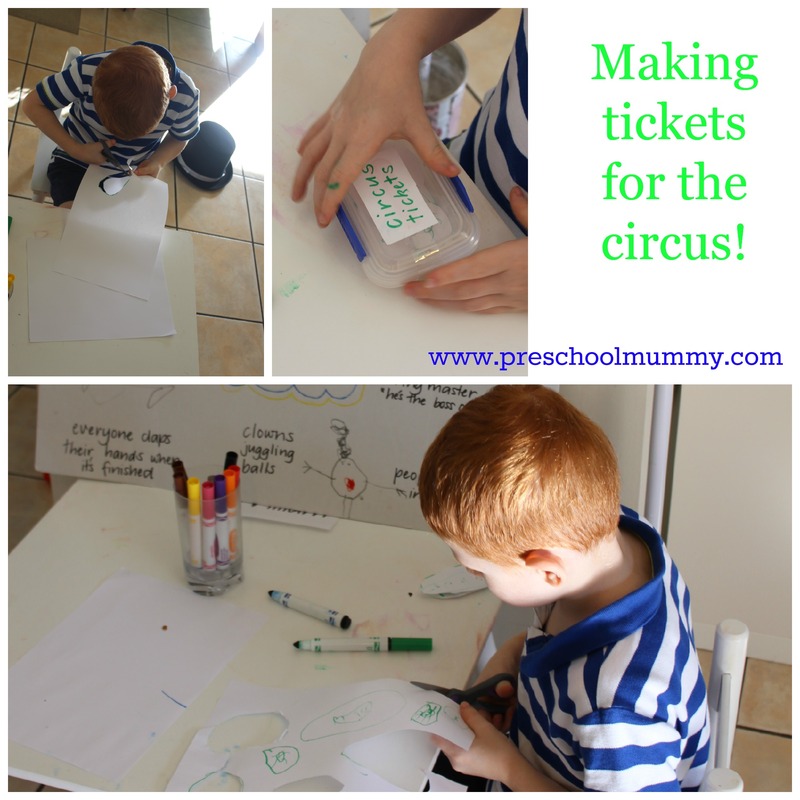 We’re going to the circus! So exciting! There’s so much play to do first, though. 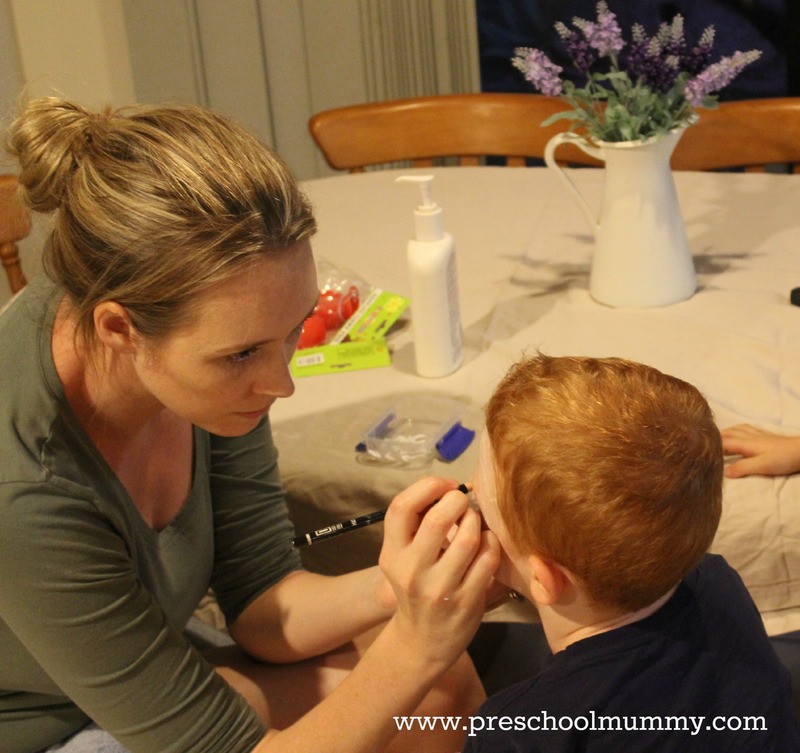 Here are some of the play-based activities we’ve done at home while we learn all about the circus! My kids don’t know we’re going to the circus. So to introduce this little theme, I pointed out a leaflet for Webers Circus that I picked up on the information board at kindergarten. At home, we got out a planning sheet (which was Bean’s idea because this is the learning process at kindergarten) and wrote down lots of ideas. I asked lots of questions because I wanted to know how much they already knew about the circus (prior knowledge). Then we decided which ideas we wanted to do first, in case we didn’t get time to do them all. Lots of writing and cutting out in this activity, great for little fingers to learn greater control and dexterity with tools. This activity was also really great for literacy (early writing, sounding out initial sounds, representing text with pictures and letters), and later we played with some pretend money, bringing some maths into it, counting and exchanging. We decorated them together afterwards and were both pretty happy with our final product! 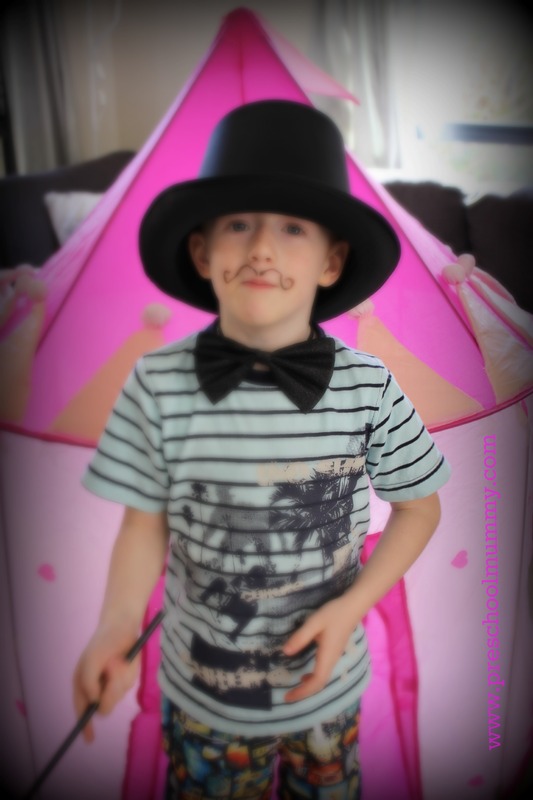 Bean knew that the Ringmaster was the boss of the circus, so he snapped up that role quicker than you can say Step right up! 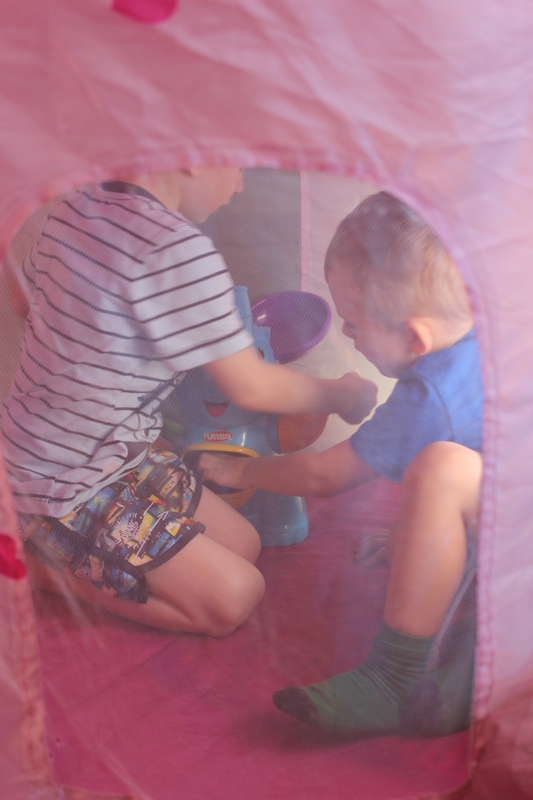 We didn’t have a circus tent but when I mentioned our game at mother’s group, a kind friend offered to lend us her daughter’s princess tent which we repurposed. We also made another area with coloured crepe paper strips, and another yet with red and blue bunting I had left over from Buggy’s christening. 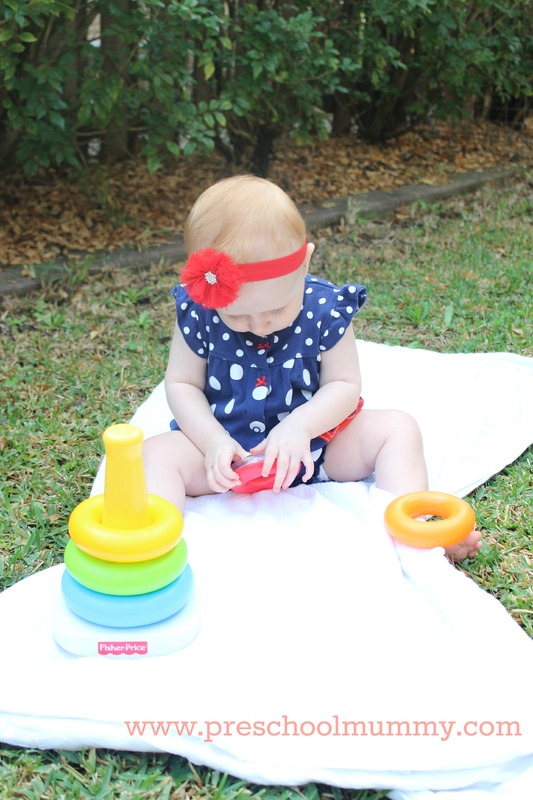 We already had this juggling elephant game, which is Rosie’s, and is an awesome game for teaching babies cause and effect. The boys were given a retro-looking electric popcorn machine a couple of years ago, and it’s been a fantastic gift! My brother (who was managing a local cinema) bought it for them. We get so much use from it and it makes the whole house smell of lovely buttery popcorn (which reminds me of my childhood – Dad was a cinema projectionist and manager). 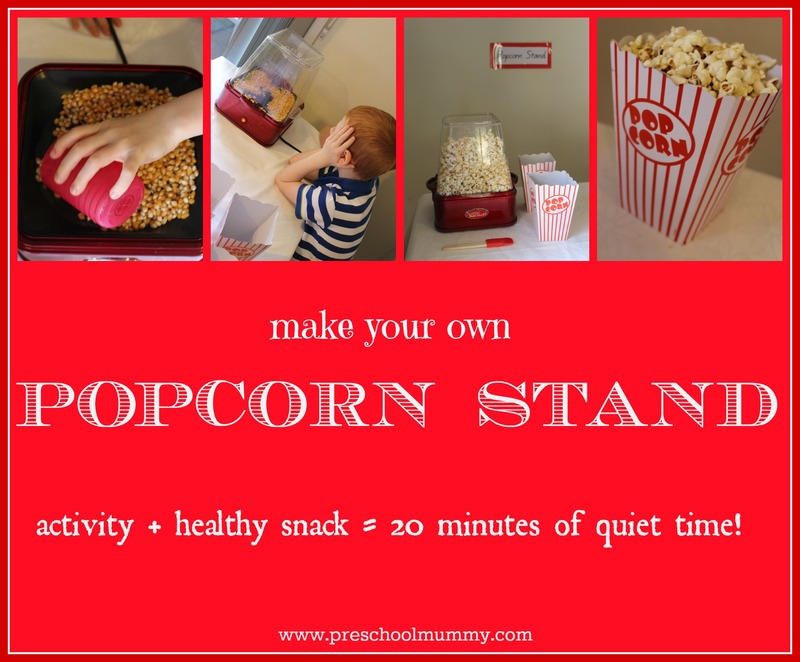 The pop corn boxes were bought at a discount shop ($2 for six), and if you didn’t have a popcorn maker, you could use microwave pop corn or cook it in an electric frypan (or any frypan large enough and with a lid). So far we’d done heaps of games that Rosie could enjoy by watching on, but we wanted to include her in the hands-on fun. 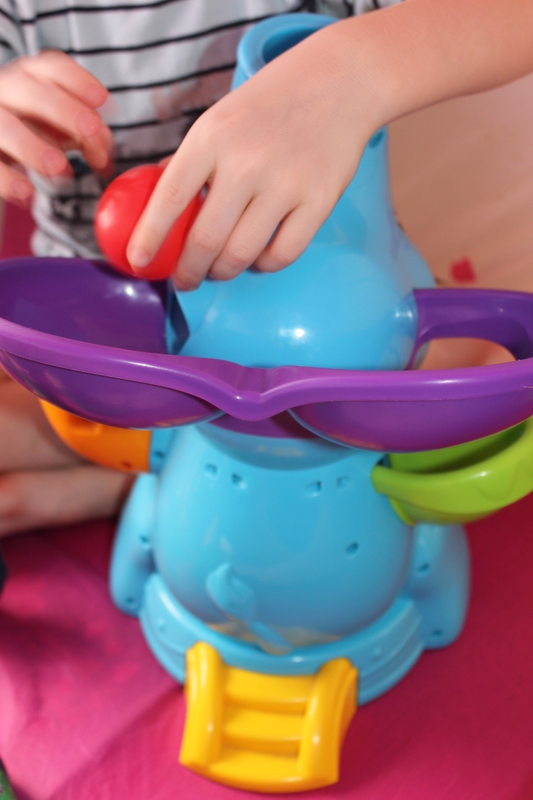 We used her little stacking rings to make a ring toss/sideshow alley game. She loved it. Cheap and cheerful, this involved laying down a line of black tape on our tiles, putting some circus music on the computer and taking turns trying to balance on the tightrope. Try walking sideways, and then, trying to walk sideways crossing one foot over the other, as a challenge. Completely off-topic, but I’ve had Illy’s song Tightrope stuck in my head all week! Careful, it’s catchy! We didn’t have any real peanuts so we used dry pasta which worked really well! I would just pick a number and tell Bean to count out enough peanuts for the elephant! You could also write the numbers on the laminated cards with a whiteboard marker. The elephant image was from Microsoft Word clip art, and printed off on our home printer, then laminated. Elephants on a piece of string- does this make you nostalgic? Next Post Safety Crimes you should never commit. Wow, so much stuff! I’m not sure if I would have the patience for all of that, but there are a few things that I think Punky would love so will definitely be bookmarking this! Thanks for sharing. P.S. Forgot to say, the grey elephants on string animation is probably my favourite one from Play School and I always get excited when it comes on. My sisters, Mum and I often sing it to the girls on family night too. I thought the elephants were a bit of a gem! Reminded me of my childhood, only unlike you I’d totally forgotten about that song! Sounds like you guys have great family nights! Fab! Hope you and Pinky love your activities when you decide which you want to do! Let me know how you go! 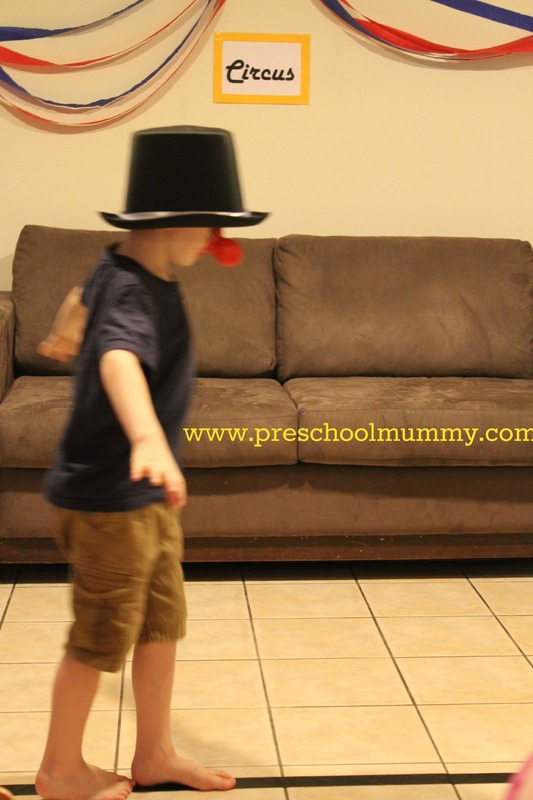 This is great, love the idea of the ring toss and tight-rope walking activities. I always enjoy finding the learning opportunities within any activities I do with the kids. Thank you! Hope you guys enjoy your circus activities, such a fun theme! Wow, you are so creative! I would probably just take them to the circus and not think anything else about it!